Protein helps them maintain or recover the strength of their muscles for better mobility. Fiber, on the other hand, helps improve their metabolism, helping them avoid incontinence and other bowel and digestive problems. Salty foods can increase their blood pressure, which can lead to other health issues. Instead of seasonings and salt, it’s better to use natural ingredients, such as lemon juice, spices, and herbs, to make their foods more appetizing. 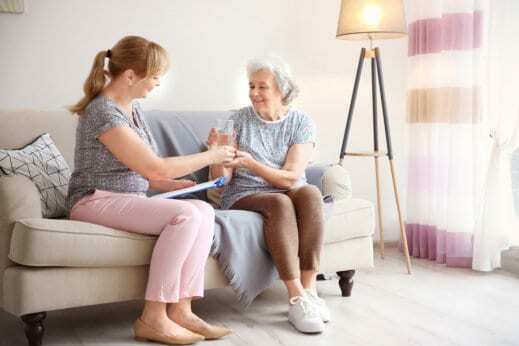 You can easily hire a provider of homecare services in Milwaukee Wisconsin that also includes meal preparation to ensure healthy meals for your loved ones. You can throw in a mix of veggies in a salad, or serve one serving or variety of fruits or vegetables for their breakfast, lunch, dinner, and snacks. You can prepare fresh fruit juices and shakes to help them detoxify while keeping them refreshed. Avoid alcohol, soda, and caffeine at all cost because these drinks can contribute to high blood pressure and blood glucose levels. Keeping these guidelines in mind would be enough to ensure the quality of the foods for your loved ones. But if you think you just don’t have the time to do the meal preparation, you can always contact Supportive Personal Care Services, a provider of non-medical home care in Brown Deer Wisconsin that also offers meal preparation services along with other elderly care services. This entry was posted in Diet Tips and tagged Fruits & Vegetables, Natural Ingredients, Protein & Fiber, Stay Hydrated. Bookmark the permalink.